Are you looking for some classroom summer activities for kids? Here are my top ideas. 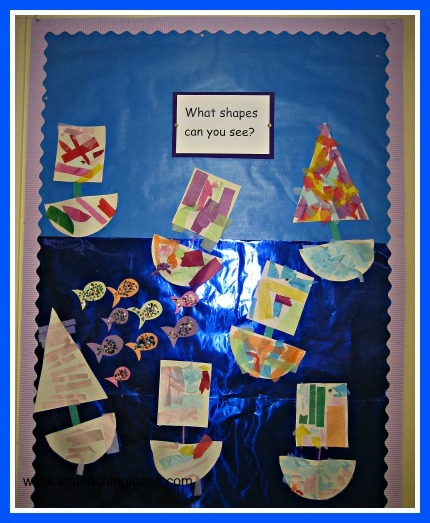 We had a Seaside Theme going on in our classroom ,-- so as well as lots of fun summer activities for kids to do. We made a corner of our classroom into a Beach Cafe. We added sand, sea and all the fun accessories you might expect to take with you on a trip to the beach! I collected ,with the help of the kids and helpful adults the following items before I started the theme. 1 or 2 plastic buoyancy aids or rubber rings. 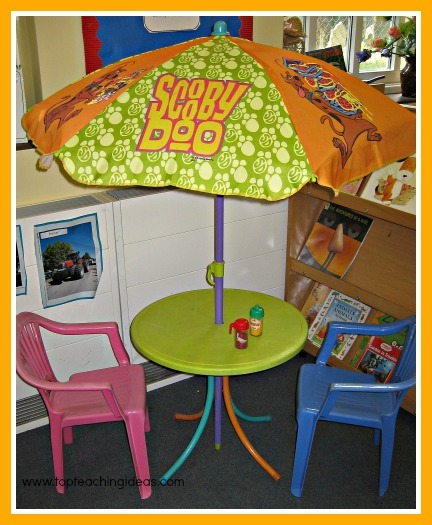 a child's table and chairs with umbrella if you can manage it. plastic cups plates etc. + cutlery. 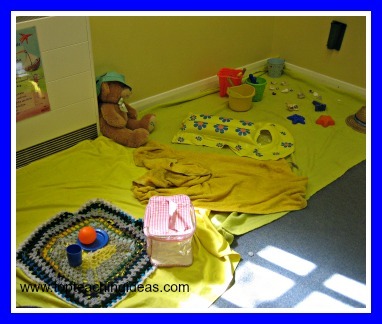 Once I had got all the stuff together I began the task of making a sea theme play corner for the kids. Here it is! One of my favorite summer activities for kids to enjoy during the summer months. Some learning objectives you could aim for while having fun doing the seaside theme! Help their money awareness by having a shop on the beach too where they can buy tea, cakes and ice creams. They could make their own food out of play doh as a separate activity. Provide little notebooks for the waiters or waitresses! so they could experience mark making . Encourage the kids to ask for a certain number of items and so help them with their counting skills. Get them laying the tables matching up the cups and saucers in sizes and colours. 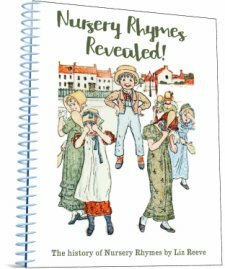 Join in their play as another holiday maker and ask lots of questions to encourage their imagination. Talk about water safety with the kids and also sun safety. 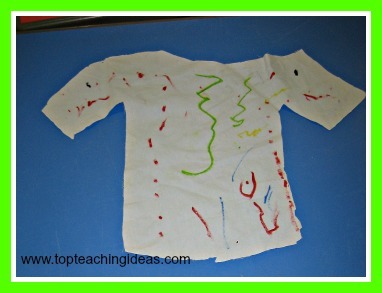 Ideally this summer activity for kids is best done with an old plain t shirt which the kids bring from home. However it might be difficult to achieve this for every kid in the class so I took an old plain sheet and cut it into t shirt shapes.One for each child. Using special fabric pens I got the kiddies to draw their own design on the front of their t shirt and on the back if they liked. They came up with some weird and wonderful ideas and very few looked a lot like they were supposed to but hey ho what does that matter! In order to set it, you put a piece of clean fabric, like a tea towel, over the drawing and press with a hot iron. It's not perfect and still comes out after a few washes but it's the doing of it that counts! Use this activity to teach the kids their 2D shapes. The more able kids can draw some different shaped triangles on a piece of coloured paper and cut them out .Good for their cutting skills . Then they need to draw round a fairly large circle,cut that out and cut it in half. More cutting skill practice! For the less able ones you will need to pre cut the shapes for them. The triangles will be the sails and the semicircles the bases. You can also use squares and rectangles as well. They can then decorate their boats in bright summery colours joining the top to the bottom with a drinking straw. When they are all finished they can be put on the wall as a display for your summer seaside theme. paint- optional only if you want to paint them afterwards. Start by talking to the kids about what the sand feels like. Would they use this sand to make a sand castle? Does it run through their fingers or stick to them? 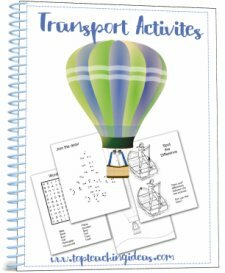 I always try to get as much teaching mileage out of an activity before I start! Talking done. They spread glue over their buckets or spades and sprinkle with the dry sand until it is well covered. When dry they can paint over the sand with some bright paint. 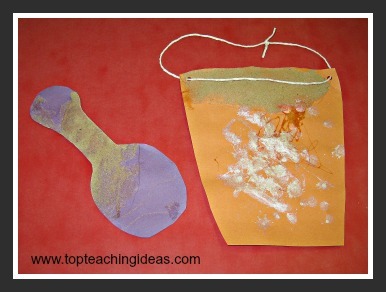 Try this easy activity with your preschoolers. a large piece of paper. chubby crayons again different shades of blue and green. material cut into wavy strips. The easiest and the most effective method is painting wavy lines using differently sized brushes,It gives the kids an opportunity to practice the left to right movement used when they learn to write and also the up and down wavy motion they will need to be able to do when they write some letters. They might want to try tearing up pieces of newspaper in long wavy strips and glueing them onto the paper either as a separate activity or combining it with the painting method. The same goes for the ribbons and material . Both can be stuck down like the newspaper onto the paper to be made to look like a sea collage. Sometimes you don't need detailed tasks ,you just need someone to brainstorm a few ideas to go with a theme. So here are some of those to go with the summer activities for kids theme! And if youre looking for more summer activities for kids ideas go to Outdoor Activities for Kids and have a browse! A sensory tray with seaside objects in. A variety of boats in the water tray. Hand printing sea creatures by overlapping hand prints to make an octopus. Make rainbow fish and read the story. Parachute games using a picnic rug if you don't have a parachute. Make the lighthouse keepers lunch and read the story. Condense it for younger children. Go to Topteachingideas home from summer activities for kids.